Larry is a serial entrepreneur with 35+ years experience starting and running hi-tech companies. As both a CEO and CTO Larry has operational as well as technological experience, which give him deep insight into the challenges facing startups. 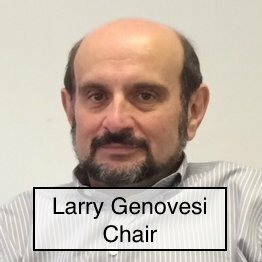 Larry has been involved in startups in the networking, storage, high performance computing, and big data analytics markets. His current focus is in the areas of IOT’s, energy efficiency, and building management. He is currently CTO/VP Engineering at Embue, Inc. As one of Embue’s co-founders he is responsible for their strategic direction as well as product development. Linda Looft serves as senior liaison to federal, state, and local officials for the university’s academic and research communities. In this capacity, she works closely with government agencies to obtain research funding in areas of strategic importance to WPI. Over the past five years, she has brought in more than $15 million in grants to the university. Most recently, she helped secure an additional $1 million in federal funding for the Center for Untethered Healthcare, part of the WPI Bioengineering Institute (BEI). She also manages advocacy for the Massachusetts Academy of Mathematics and Science at WPI and oversees many of WPI’s high-profile events, including major conferences, VIP visits, and international events-on and off campus. In addition, she has helped secure federal, state, and local funding for the WPI Life Sciences and Bioengineering Center, a state-of-theart research facility under construction in Worcester’s Gateway Park, as well as the Precision Indoor Personnel Location System and transportation research. 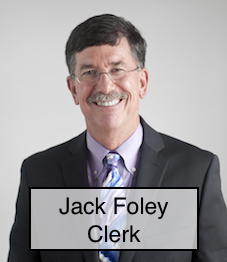 Mr. Foley has served as Executive Assistant to the President at Clark since 1994. In that position he has supported the University’s commitments to maintain the vitality of student community engagement and to upgrade extracurricular activities on campus. In 1999, Foley was elected to the Worcester School Committee. He is a longtime champion of the Worcester community and has worked tirelessly in developing the University Park Partnership (UPP). He currently serves as treasurer and Board member for the Main South CDC and has spoken widely on university-community collaborations. Foley helped plan the University Park Campus School, a Worcester public secondary school, formed in partnership between the Worcester Public Schools and Clark University that opened in 1997 and has received national acclaim for its success. Foley is currently serving on the boards of the Seven Hills Foundation, the YMCA of Greater Worcester, the Worcester Community Action Council, the Webster Square Business Association, and the Dartmouth College Alumni Association of Central Massachusetts. Professor Chuck Agosta is a low temperature experimental physicist who was originally trained to study the properties of fluids at very low temperatures. His present research interests are lower dimensionalsuperconductors in very high magnetic fields, heat transfer in gas boundary layers, and renewable energy. As a professor he teaches many of the core courses in the Clark University Physics Department, but specializes in two signature courses, Astronomy and The Technology of Renewable Energy. His renewable energy course is focused on the technical and social issues of creating renewable energy microgrids. He directs a project on campus using renewable energy and leveraging the cogeneration plant on campus to create a local DC nanogrid. This project has been supported by National Grid, the local energy utility. Agosta is also CEO and co­founder of Machflow Energy, Inc., a clean­tech company that is developing highly innovative heat transfer technologies. Machflow has created a disruptive Bernoulli Principle­based heat pump that works in a closed cycle using noble gasses that have no adverse effects on the environment, such as global warming. Machflow has six patents and was funded by Kleiner Perkins, the DOE, and prominent angel investors. The Coghlin Companies were founded in 1885 and are privately held with a global headquarters located in Westborough, Massachusetts. Columbia Tech and Cogmedix provide their services to a diversified group of global capital equipment innovators in a broad range of industries including power management, data storage, cloud computing, medical, life sciences, energy, homeland security, robotics and automation, communications semiconductor, LED, water treatment, ad food and beverage. The companies have achieved multiple ISO registrations, adhere to IPC and J-STD-001 standards and have achieved ITAR and FDA registrations. Chris has been with the Coghlin Companies for over 23 years and has been President and CEO of Coghlin Companies Inc. and its subsidiaries for more than a decade. He is a 1988 graduate of Saint John’s High School and a 1993 graduate of Northeastern University’s business school. In addition to his business responsibilities, Chris is a member of YBA’s Central Mass Chapter, The Young Presidents Organization (YPO) New England Chapter, Mass MEDIC (Medical Device Industry Council) and MDG (Medical Development Group). Chris is also on the Advisory Board of M2D2 (Massachusetts Medical Device Development Group), actively involved in Northeaster University’s Co-op Education Program, a United Way Community Trustee, Worcester Country Club Activist, accomplished musician and an active youth sports coach. Chris also serves as a Strategic Advisor or Board Member to other private businesses and charitable organizations including the Worcester CleanTech Incubator (WCTI), 15-40 Connection, Hemedex and Fuel for Fire. He is an active supporter and Gala Committee member for the Andruzzi Foundation and is the proud husband of Kimberly and father of 3 children; (Haley, Brady and Colby). Michael is responsible for providing technical expertise to National Grid’s venture capital activities centered on the firm’s investment in Energy Impact Partners. Energy Impact Partners is a collaborative strategic investment platform that provides capital to companies optimizing energy consumption and improving sustainable energy generation. Immediately prior to his current role, Michael managed R&D for National Grid’s US electric business. Prior to his R&D role, Mr. Cooper worked for a leading Northeast utility where he directed the design and construction of a $30 million custom 200+ mile fiber optic network for telecommunication customers, established a “first of a kind” Joint Venture between an electric utility and a leading telecommunications company to deliver an integrated broadband platform providing advanced telephony, video and data services and directed the construction of a $250 million advanced fiber rich Hybrid Fiber Coax (HFC) telecommunications network in twelve Massachusetts cities and towns. Michael also designed and implemented a SmartGrid pilot with 15,000 metering points in a Boston suburb. Hilary Flynn is the Director of External Innovation at National Grid. In this role, she advises the business on emerging technology trends and new market opportunities. Additionally, she works closely with the company’s external innovation partners, including incubators and associations, as well as startups. Prior to joining National Grid, Hilary was a Managing Consultant for Lux Research, a technology advisory firm, and responsible for the Asia Pacific consulting practice. She has also held consulting positions with MJ Bradley & Associates, Meister Consultants Group, and PHOTON Consulting. His 20+ years of sales experience have been focused on developing, implementing, deploying and harnessing innovative solutions in many industries such as capital equipment, plastic consumables, medical device, consumer products, packaging, bio-science discovery, lab instrumentation, and encryption solutions. Bill’s diverse career experience includes as Engineering apprenticeship at a world-class injection molding machine manufacturer in Switzerland, a position as a business model architect and a job as the Program Manager of the copy protection solution for the Microsoft XBOX gaming system. A successful entrepreneur and business owner, Bill was also the President and Management Board member of M2 Engineering where he had complete operational and P&L responsibility for the North American subsidiary of a $150M Swedish manufacturer of high speed, high precision, optical media replication and mastering equipment. 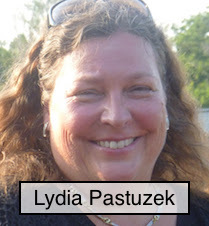 Lydia Pastuszek has extensive corporate, small business, public sector and higher education experience in energy policy, marketing, housing development, and operations. She has long held an interest in using data and analysis to support public policy and corporate decision making. In addition to consulting in the energy and environmental strategy and communications field with Conover + Gould, she currently is the CEO of William J. Pastuszek Real Estate LLC in Pennsylvania, managing residential, commercial and light industrial property. Prior to that she worked for Clark University in Marketing and Corporate Affairs and spent 25 years of her career in various positions at National Grid USA, ending as Senior VP of Human Resources. Prior to that, she served in several different capacities for National Grid/N.E. Electric, including launching the very first Energy Conservation programs in the mid 1980’s. Before coming to National Grid, Pastuszek held various staff positions in several levels of government. Conover + Gould Strategy Group provides a wide range of services for public and private sector and non-profit clients, including stakeholder management, public education, community relations, media relations, strategic communications planning, social media, websites and collateral material development. Tibor has over 25 years of M&A, corporate finance and investment experience, primarily through private equity and venture capital investment experience. He has completed over 30 transactions with aggregated values of over $1 billion. Tibor is currently the Managing Director of Investments at the Massachusetts Clean Energy Center, making venture investments in promising early and growth-stage Massachusetts companies broadly across the clean energy value chain. Tibor has focused in the clean energy sector since early 2010, when he joined a clean energy company as its CFO. 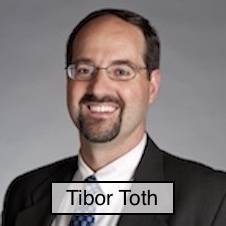 Previously, Tibor had 17 years of investment management experience in private equity and venture capital, with Babson Capital, Ascent Venture Partners, Lee Capital and Berkshire Partners.